One of my favorite quirky clothing companies occasionally comes out with some kitchen and home decor items to complement their clothing styles. Here's a quick peek at their Black Cat line of home products! 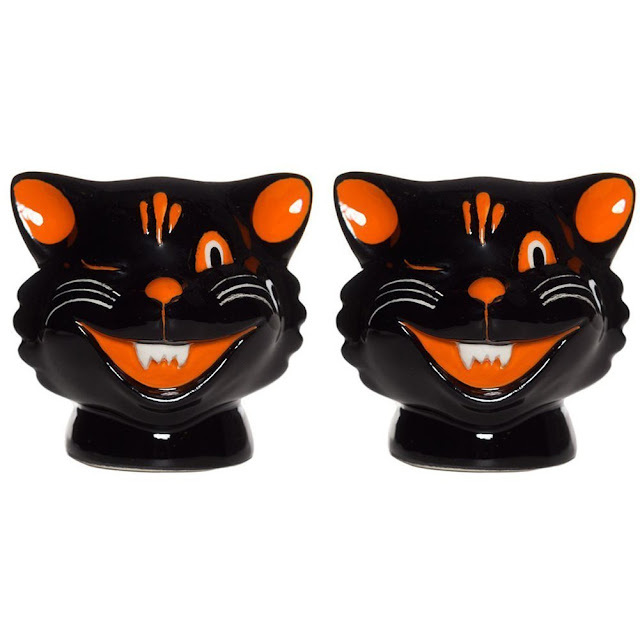 These black cat salt and pepper shakers are super cute. I wish they winked in different eyes though, to make it easier to tell the salt shaker from the pepper one! 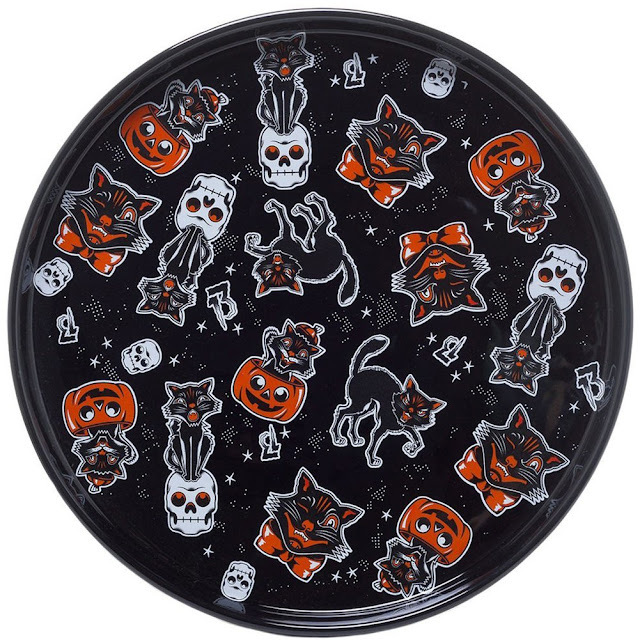 Sourpuss's Black Cats serving platter features retro cats climbing into skulls and pumpkins. I admit it might be too Halloween-ish to use year-round. 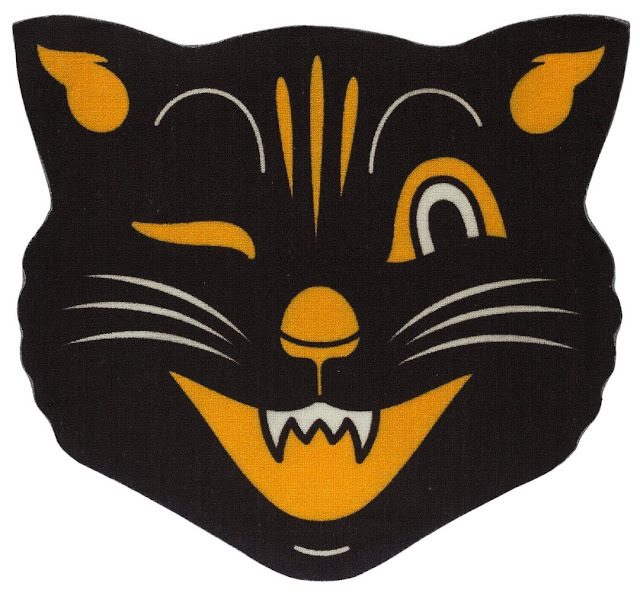 The Black Cat rug is small, so might be best in a bathroom or an entryway. 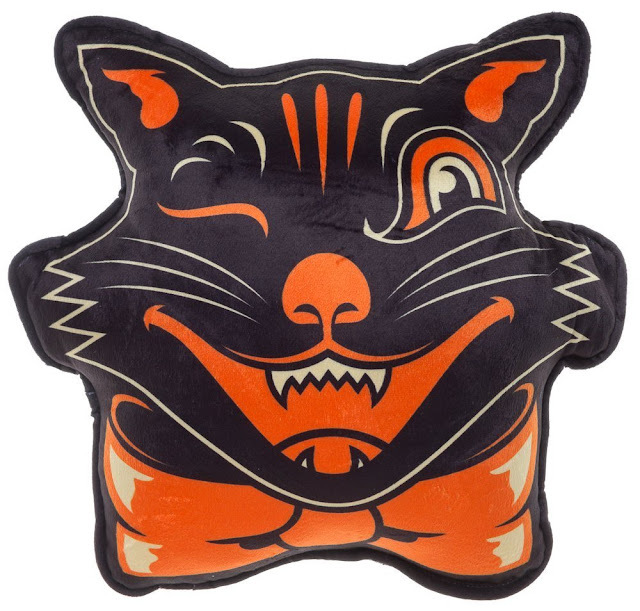 Who wouldn't enjoy this Black Cat pillow on their bed or sofa?